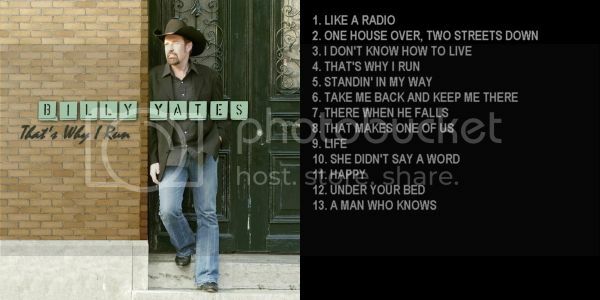 This collection of Yates songs will take you back to when country music was country. 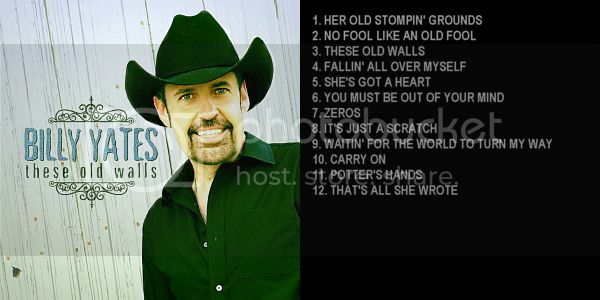 From the swingin’, lead European single, “Zeros”, to the poignant title track, “These Old Walls”, this CD is sure to please your inner hillbilly! 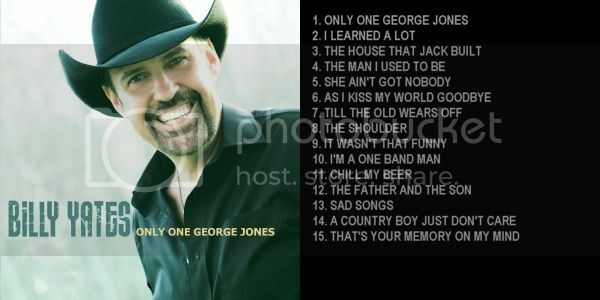 15 new songs in honor of the king of country soul, George Jones, featuring the multi-week European number 1, “ONLY ONE GEORGE JONES”, plus the previously released duet with George Jones on the Yates penned, “CHOICES”. Just when you thought you may never hear real Country Music again, Billy Yates shows up with another country-to-the-core collection of tear jerkers and toe tappers. When you think neo-traditionalists one of the first names that comes to mind is Billy Yates. 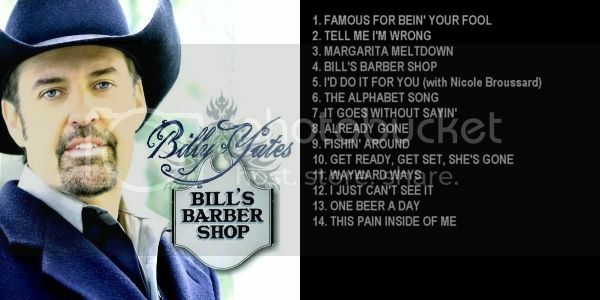 With this “Bill’s Barber Shop” disc, Yates digs deep into his rural upbringing to deliver 14 songs that are sure to touch the hearts of real country music fans around the world. Contemporary country, steeped in the traditions of George Jones, Merle Haggard, Buck Owens and Lefty Frizzell. 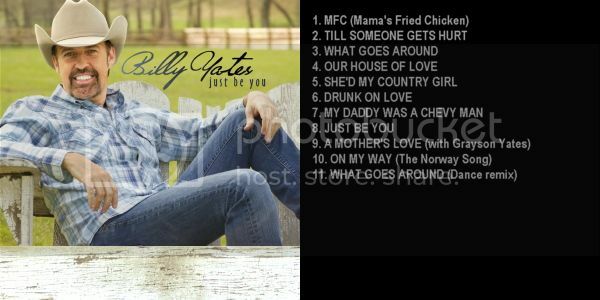 If real country music is your thing, then you'll love this CD that includes a variety of Billy's own personal favorites, including a remake of Yates' 1997 hit, "Flowers" plus a duet with George Jones on Yates' "Choices". The fourth release on Yates' own M.O.D. Record Label features live favorites such as "The Perfect Woman" plus the title track. Buy this one and sing along! 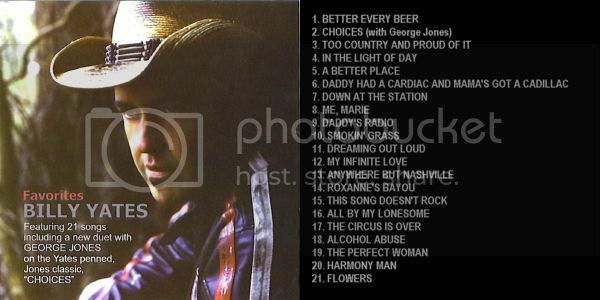 This disc contains some of Billy's biggest crowd pleasers, including the title track along with "Alcohol Abuse", "My Infinite Love", and "American Voices". This is Billy's second release on his M.O.D. Record Label and includes songs like "Down At The Station" , "Me, Marie", and "Daddy's Radio". This first CD released after Billy left Columbia Records in 2002 has become an all-time-favorite and a BY classic. 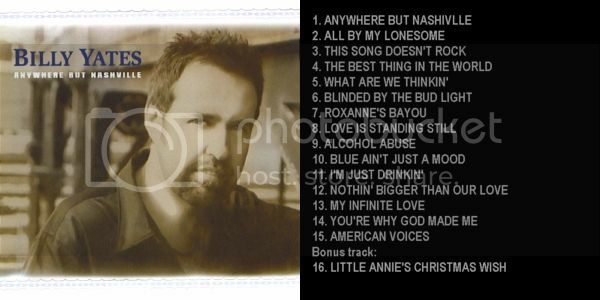 This critically acclaimed disc includes "Daddy Had A Cardiac And Mama's Got A Cadillac" and the anthem, "Too Country And Proud Of It".